Every place we went to in this Rajasthan tour was wonderful but my favourite would have to be Bundi. A large town/small city it was off the beaten tourist trail. It was our guide, Monty's parents home and we had a beautiful evening meal with them at their house. The guesthouses we stayed in around Rajasthan got more amazing as went with some real Maharajah-type places in Madhogarth and Bijaipur. 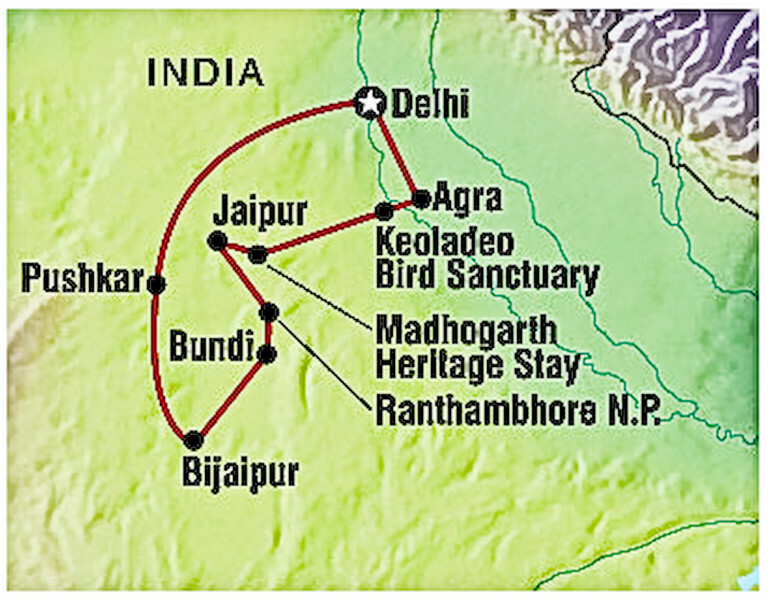 The route for the Intrepid "Classic Rajasthan" tour.